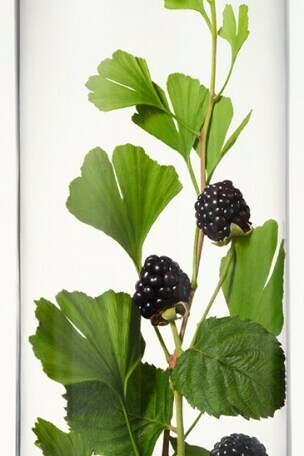 Blackberry leaf stimulates skin's moisture barrier renewal and helps reduce the appearance of fine lines and wrinkles, promoting firm and smooth skin. Expertly infused into our skin-renewing range, the leaf extract is drawn out with precision for its ability to restore signs of skin youth. Blended with Gingko leaf extract.